Posted byAtulHost	 September 5, 2017 September 5, 2017 Leave a comment on WordPress.com vs WordPress.org: Which is Better? Let’s understand about Pros and Cons of WordPress.com as well as WordPress.org, or in other words, this article is going to be wordpress.com versus wordpress.org. So in this article, I will differentiate WordPress.com and WordPress.org so you can choose one of them to create your blog according to your requirements. 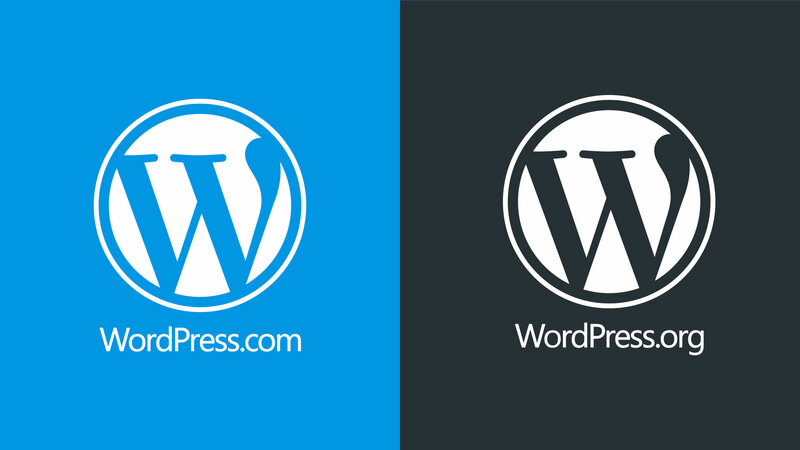 As they both are wordpress, you will think that there will be a slight difference between them but there is vast difference between wordpress.org and wordpress.com. Currently let us start with wordpress.com first. WordPress.com is same like blogger. To create a blog, You just have to enter a name of your blog and you are done. It is very easy to create a blog with wordpress.com. But wordpress.com has more number of drawbacks then upvotes from my point of view. If you want to create a personal blog from which you don’t want to make money then wordpress.com can satisfy you. Now let us talk about Pro and Cons of wordpress.com. Regular Backups: They will backup your blog regularly so you don’t have to worry about taking backups of your blog manually on regularly basis. If you will lose data then backup will be ready to be used. 3GB Free Space: WordPress.com is free upto 3GB. It means that you can host your blog for free till 3GB space is used by your blog. To increase space, you have to pay according to their plans. The 3GB space is enough for a small or personal blog where user is not going to upload huge amount of content. Free Traffic: Yes, By creating a blog with wordpress.com, You might get more traffic to your blog if wordpress.com adds your blog to blog of the day or anything like this. Limited Themes: You have to choose one theme for your blog from limited number of themes. Note that the theme you are going to use is being used by thousands of sites. You can’t use custom wordpress theme. You can do design upgrade for which you have to pay 30$ a year. Advertisements: Yes, They will show advertisement on every blog created with wordpress.com. I don’t think that you will like it. Limited Monetization: You can only monetize your blog if you have more then 25,000 hits a month. Even after getting approval with ad control, You have to share 50% income with automattic. You Can’t Use Plugins: If you are starting your journey with wordpress.com then you can’t use plugins on your blog which is a main drawback. No Custom Codes: You can’t add any type of custom code in your blog. that means that you can’t verify your site on Google webmaster tools, You can’t use google analytics or any other analytics tools. If you want to create self hosted blog with wordpress.org, You have to download files from wordpress.org. Then you have to upload that files to your hosting space to make it work. This is the main difference between wordpress.com and wordpress.org. It is not easy like wordpress.com. From my point of view, There are more number of Pros then number of Cons. Below are the Pros and Cons of wordpress.org. Plugins Allowed: This wordpress will allow you to install and use plugins on your blog which wordpress.com didn’t allow. Plugins makes many great tasks easier. Custom Themes: You can use custom themes also in self hosted wordpress blog. There are thousands and lakhs of free and paid themes you can use on your blog. Anytime Monetization: There are no monetization restrictions in self hosted wordpress blog. You can monetize your blog from 1st day itself. In wordpress.org blog, You can sell any number of advertisements and products on your blog. No Forced Advertisements: There will be no advertisements on your blog like wordpress.com blog have. It will be good for you because you will save that much space on your blog to sell. Custom Codes: You can add custom codes to your blog. It means that in self hosted wordpress blog, You can verify your site on Google webmaster tools, You can use custom analytics tools and also you can claim your site on alexa. You’re Responsible for Backups: Generally there is no feature to take a regular backup of your blog but there are many plugins by the help of which you can enable auto-backup of your blog. You Have to Prevent SPAM: Spamming is Done to get link back from your blog. Now a days, spammers use automated softwares to get links from comments. TO prevent spam, just activate Akismet plugin. Hosting and Domain Name: To make your blog live, You have to purchase domain name and web hosting. Domain name will cost you 3-6$ a year and Good hosting will cost you 35-90$ per year according to your hosting plan. By reading the above given Pros, Cons and difference between wordpress.com and wordpress.org It’s up to you which is better for you. From my point of view, I recommend you to create a blog with wordpress.org if you want to create money making blog. If you want to create personal blog and you don’t care of making money from your blog then wordpress.com will be better for you.